Breakfast (of course), which might be anything from a simple continental breakfast to several courses served on elegant china. A place to stay, including everything from hammocks on a jungle balcony to canopied elegance in a Scottish castle. An elevated level of personalized service. Now—here’s where the ranges narrow; for all B&Bs, no matter what size or location, should include unparalleled, knowledgeable, and highly personalized service. It’s the service provided by innkeepers—who have opened and shared their home to eager travelers—that has truly given Bed & Breakfasts the well-earned reputation for being the top choice of many a seasoned traveler for lodging value, friendliness and service. Despite the commonalities, Bed & Breakfasts have varied options in terms of location, facilities, food, staff experience levels, etc. Some people may find good or bad in whatever B&B in which they choose to stay. But what is it about truly great B&Bs- the ones in which people always seem to find the good, that always see happy guests return and who motivate their guests to recommend their inn to others without outright asking? There are lots of reasons, but keeping up with industry trends, discovering what new things travelers want and networking with other industry professionals are effective practices for successful B&Bs and innkeepers to stay successful. 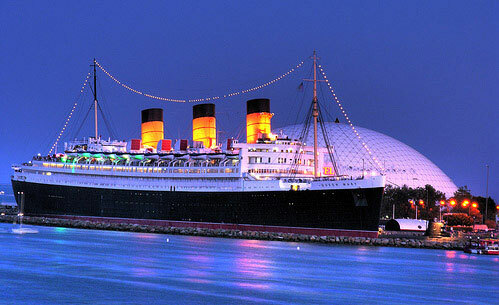 Which is why, just last week, Penny and I flew to Long Beach, California to attend the annual conference of the Association of Independent Hospitality Professionals (AIHP) aboard the historic Queen Mary. This event brought innkeepers from all over the country together to attend classes, exchange ideas and visit with vendors ranging from insurance companies to travel agencies to luxury linen providers. There were over 600 of us, and we all were there to expand our levels of knowledge and service so we might better serve our guests. It’s attending events like this conference, continuing education you might say, which sets participating Inns and Bed & Breakfasts apart from others on an experience and elevated service level. For these events are an investment in the satisfaction of our guests, and help to better assure a five-star experience. Here’s a fun fact—Penny and I actually met at one of these conferences back in 2000 on Hilton Head Island, SC. We saw so many old friends at the conference in Long Beach—even the people that introduced us! You can imagine the friendly people one might meet at an AIHP event—they’re all innkeepers! Penny and I have decades of combined experience in the B&B and hospitality industries; but there is always more to learn, experience and share. We choose to continue our education in our industry to better serve you, our guests. Thank you so much for choosing to stay with us. Cheers! Yes, my experience while traveling abroad has always been best when I found a B&B in the locale I was scouting. The proprietors were more like discovering old family members than people who wanted to tuck your bucks into their cash boxes. I can’t imagine how the B&B proprietors manage to keep up with the correspondence they receive from folk like me, who have had a wonderful, “homey” experience at their place. But, I’m told they actually do respond, now that the computer has eased the time spent in doing so.